How is that for a headline?! And it's TRUE, by the way. 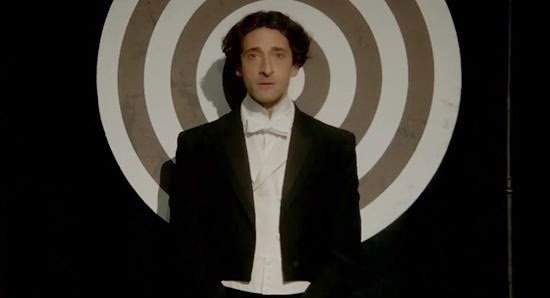 Yes, there suddenly is a lot of controversy surrounding the Houdini Miniseries by the HISTORY Channel, because the star of the movie, Adrien Brody has let it be known they reveal how Houdini did his tricks. method to escape from handcuffs. First, there are a lot of different types of handcuffs and that means you're open to quite a few methods of escape. Take the handcuff known as Darbys for example. With this one style of cuff, I can think of five different methods off the top of my head that can be used to escape from this cuff and not one includes using a duplicate key. You could spend over an hour just discussing methods for handcuff escapes and you still wouldn't cover all of them. You see, unless Houdini had only ONE method for escaping, then I don't see how you can actually reveal anything. You can reveal one technique, maybe two, but that's about it. 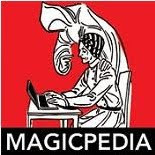 And a skilled escape artist like Houdini was known for revealing these techniques as the methods used by his imitators and then using different techniques himself. This is how he stayed one step ahead of his competitors. Here is another example, The Milk Can escape. The method for this has been revealed in magazines, books and newspapers for years. But did you know the inventor of the Milk Can, Montraville Wood, actually created 8 different methods for escaping the can. There is a supposed method that is fairly well known. However, consider how impractical this method becomes when Houdini introduced the wooden box, known as the Double Fold Death Defying Mystery. This is where the Milk Can was first placed inside a wooden crate, then Houdini would get inside, the lid would be locked on the Milk Can and then an outer wooden lid would be locked on the box. Houdini couldn't escape even IF the lid hadn't been locked because the wooden lid of the box prevents the top of the Milk Can from being removed. So that secret is worthless. 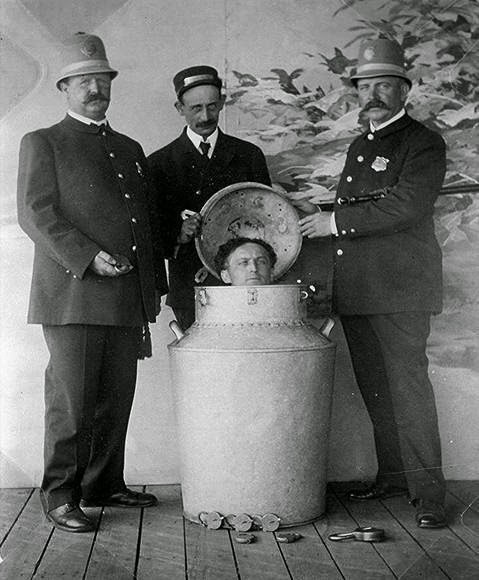 And the modern versions of the Milk Can used by a very select few escape artists today, use a method that is totally different from Houdini's real secret. 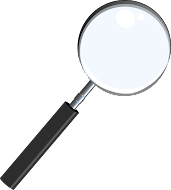 we might find them interesting, some might find them archaic, others just boring. Lay people might think that the method is ingenious or so simple it's amazing no one could figure it out. 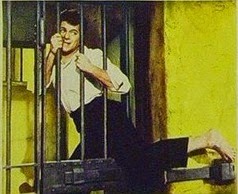 Tony Curtis picks a jail lock with a piece of wire around his toe.......really? You think this is what Houdini did? Paul Michael Glaser secretly puts a key on the back of a policeman while he is being searched and then later retrieves it and escapes. Stories circulate that Houdini escaped from the Mirror Cuffs by having Bess pass Houdini the key in a kiss.......A key that is over 6 inches long, really??? Are these really his secrets? I don't think so. *Though both of these quotes are from different periodicals, I found them both referenced in the fantastic book HOUDINI-The Key by Patrick Culliton, and wanted to be sure to credit his book as the true source in my case.